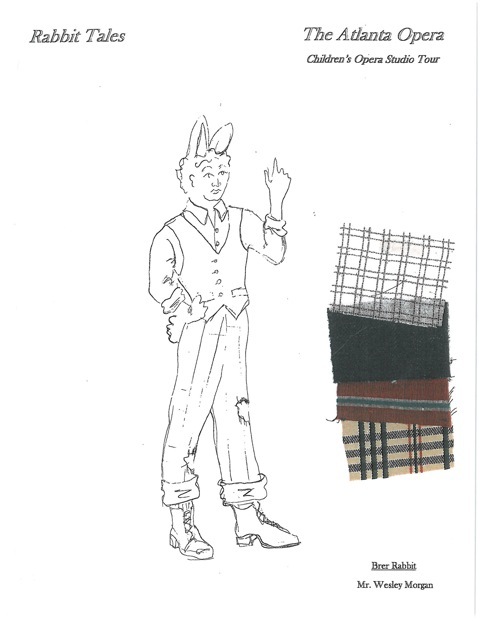 Do you love Br’er Rabbit? 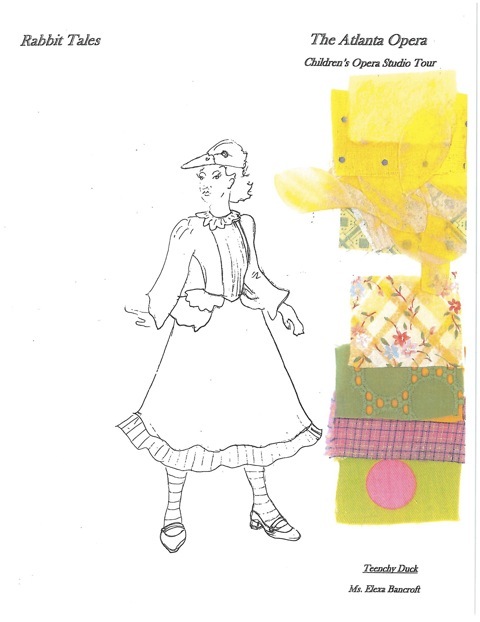 Then don’t miss this exciting new opera! 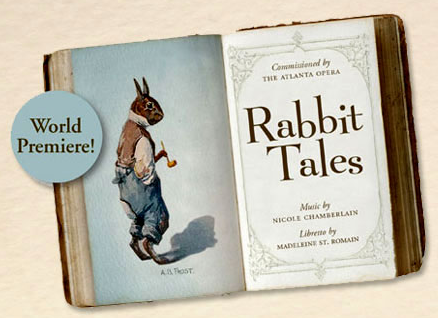 For its 2011-2012 season, The Atlanta Opera commissioned a children’s opera called Rabbit Tales, and it will have your kids laughing out loud, while diving into the magical world of opera. 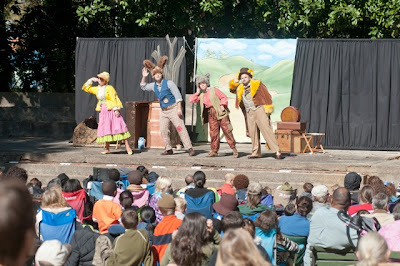 Rabbit Tales centers around the antics of Br’er Rabbit and his friends, and also draws on Native American, Cajun, and African folklore, providing children and adults with a culturally enriching experience. This opera contains clever sets, fun characters, interactive scenes, and of course, wonderful music. As part of the Atlanta Opera’s Educational Outreach programs, this production tours all over Georgia, bringing opera into schools. 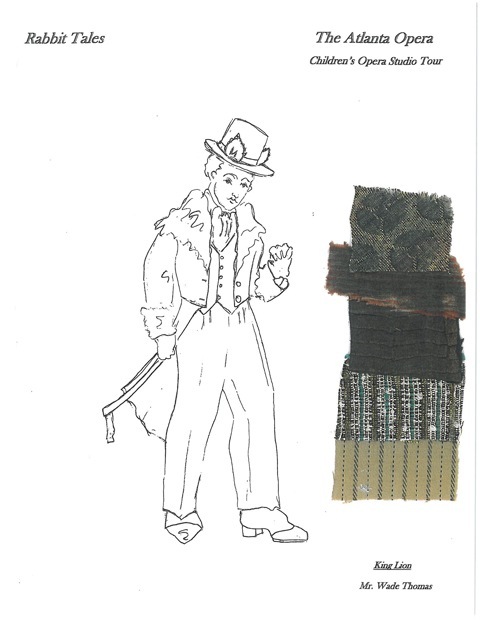 But due to its immense popularity, and a wildly successful world premiere at the Wren’s Nest in October, four public performances were added to the opera’s spring schedule. Only three performances are left, and trust us, you won’t want to miss them! 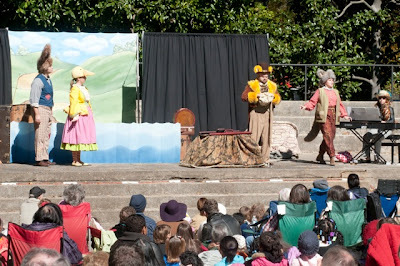 The community performances on March 21st at The Atlanta Opera Center, and March 24th at the Fulton County Arts and Culture Southwest Arts Center provide the perfect opportunities for your children and family to experience opera. 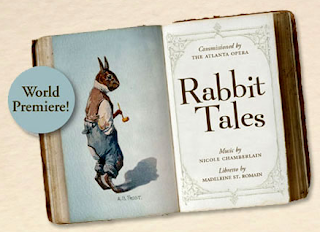 To give our readers a first-hand look at why Rabbit Tales is worth seeing, we’ve caught up with Ms. Crane, a music teacher at Creek View Elementary School, whose students saw the opera, and completed activities related to the story and music. Enjoy! How did your students respond to the performance of Rabbit Tales? Did they enjoy it, and were they interacting and participating during the performance? 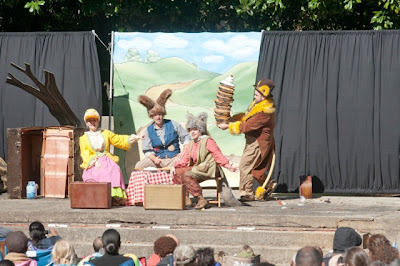 The Kindergarten students loved the performance of Rabbit Tales. 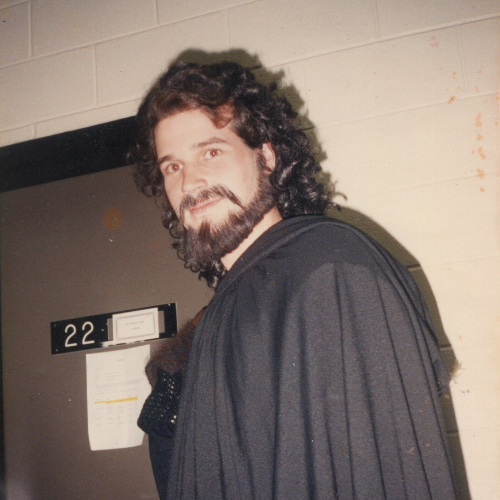 They were able to follow the libretto that they learned in music class, so they easily understood what was happening on stage. 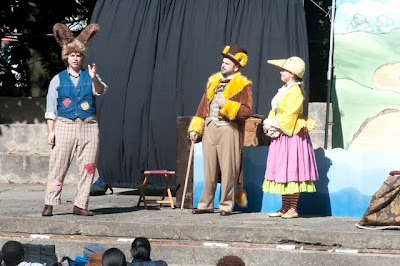 The singers were also very easy to understand and used many props, body movements, and facial expressions to help students understand the story. Students especially loved playing the instruments that they made with paper plates and rice; they also loved using their chicken masks to become cast members in the show. 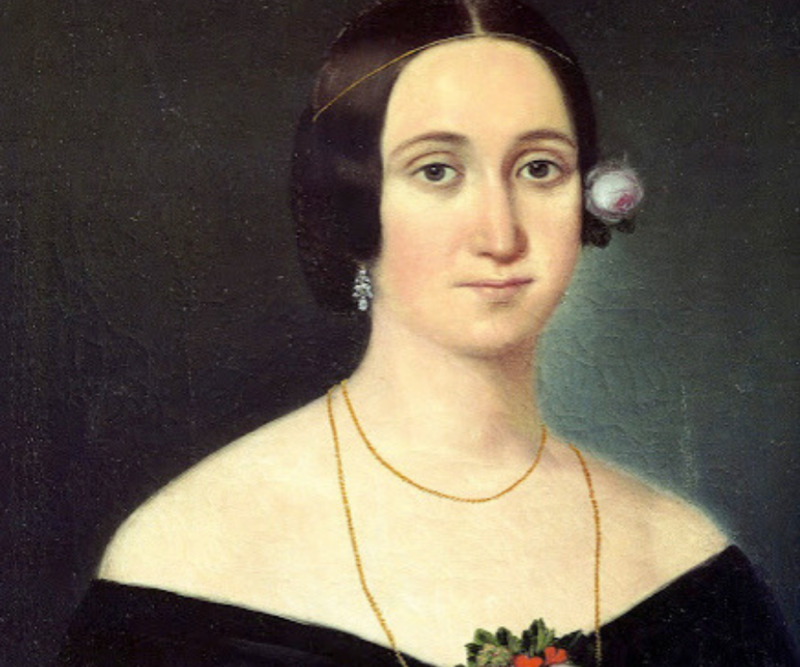 What kind of activities did your class do in conjunction with the opera? In music class, students acted out various parts of the story. They created paper plate shakers and made chicken masks to use in the performance. Students also learned about opera by playing a game on the internet where they chose costumes, sets, props, lighting, and stage direction for Englebert Humperdink’s Hansel and Gretel. 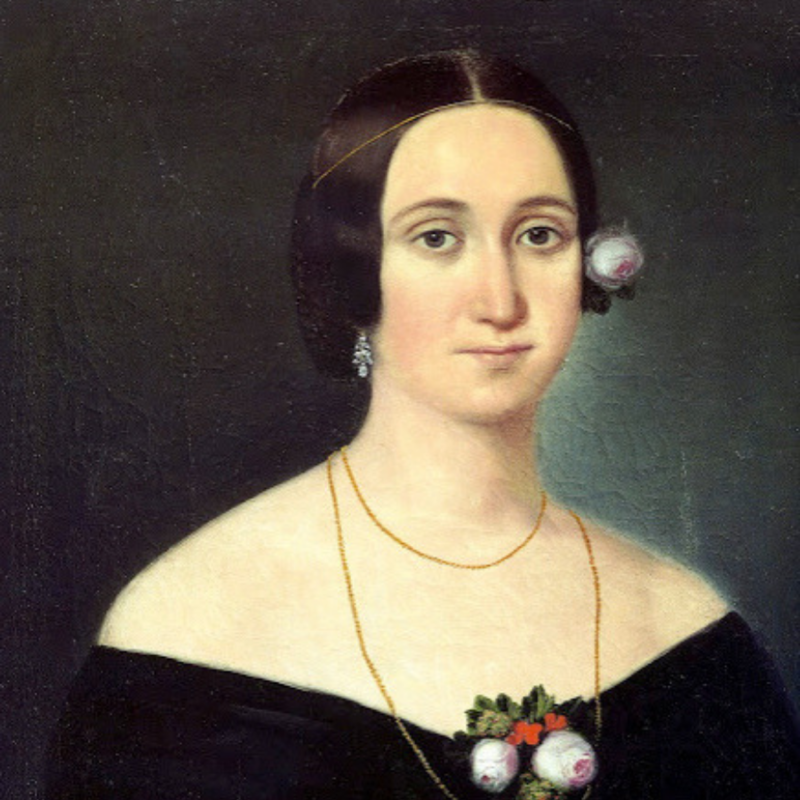 Why do you think it’s important to incorporate opera and music into a classroom? Music is a great way to motivate and inspire students in the classroom. Children have a natural affinity for music and drama. They are excited to sing, move, and act, and the more involved they become, the more they will learn and remember. 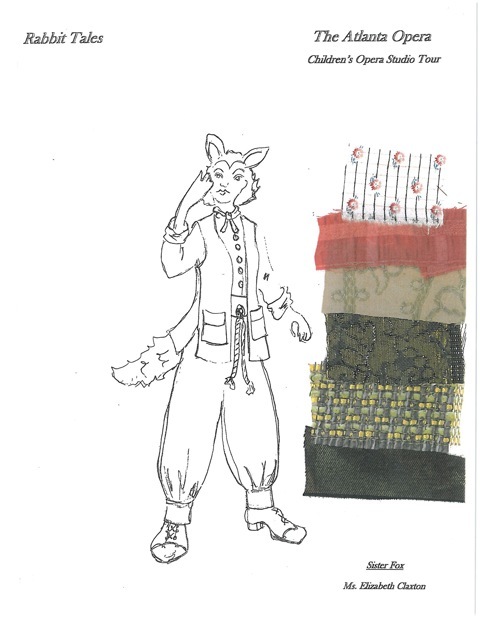 Some parents may not feel that their child will enjoy or understand an opera. What is it about Rabbit Tales that makes it fun and accessible to children? Rabbit Tales is accessible to children in a variety of ways. 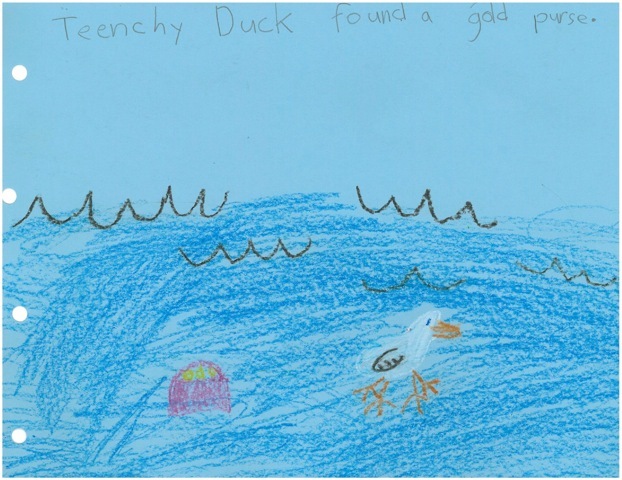 The simplicity of the plot makes it easy for students to follow what is happening in the opera. The story also has many parts that the children can relate to personally such as finding a lost treasure, having someone take things from you, and working together with friends. The singers really played up their parts, and were very funny, too! This was definitely an excellent experience for our students grades K-5. 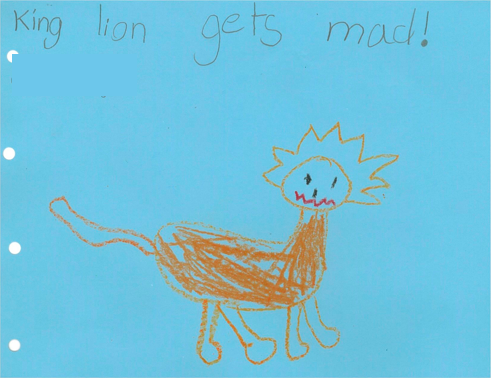 In addition to the activities mentioned above, Ms. Crane’s class also drew pictures of their favorite parts of Rabbit Tales. We have to say, these are pretty great! 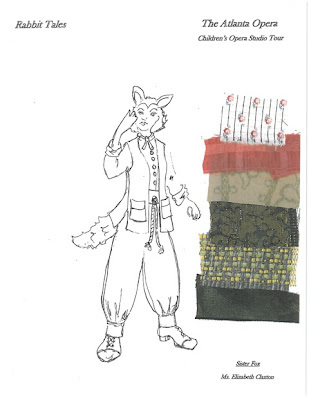 Below are costume sketches, and pictures from the world premiere of Rabbit Tales, on October 29, 2011. These community performances make for an entertaining activity for kids, while exposing them to opera. Visit our website for more information, or to purchase tickets. Come prepared to laugh, clap, and cluck like a chicken! In other words… prepare for a lot of fun!